Werewolf Wild pokie takes players on a unique gaming adventure as they will travel back in time to London during the late 19th century. 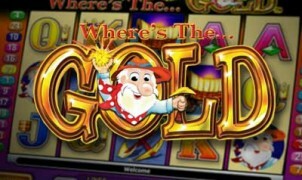 The slot machne, designed by Aristocrat, is one of the great titles offered online for free and for real money play. 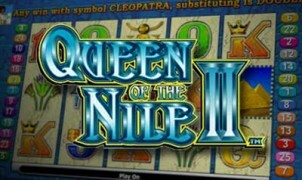 The game has a rewarding pay table and offers pokie players the chance to win more through the bonus round that is available. This game is a 25 payline game and the theme is quite attractive. Enjoy a spine tingling adventure with each and every spin of the reels and collect some stellar payouts, including a top fixed jackpot awarding 1000 coins. Aristocrat have made all their titles including Werewolf Wild Pokie free to play on PC, Mac, iPhone, Android, iPad, in fact all mobile devices. 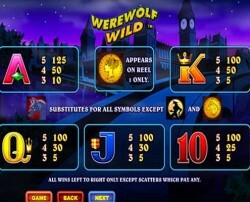 As one would expect from an Aristocrat video pokie, there is a wild, which is the werewolf. This can take the place of standard game symbols and can appear in any position. There is also a game scatter, which is the howling werewolf. This is an instant pay symbol and when two or more appear anywhere on the reels, a payout will be offered. On Werewolf Wild should players get three or more scatter symbols, they can win between 7 and 28 spins on the game. 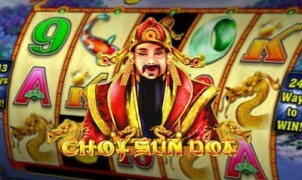 This bonus feature can be retriggered and the wild plays an important role in the free spins. When it appears on a reel that is next to a man, woman or policeman, those three symbols can also become wild, so there are great chances at collecting massive payouts. A gold coin can appear on the first reel of the game at any time and if this happens when a werewolf is present, a payout ranging from 2x to 40x the bet amount will be enjoyed. There is also a unique Claw Swipe feature in Werewolf Wild pokie and swipe symbols can appear at any time. When they do show up, they will cause various symbols to become wilds on the reels. This game has outstanding game play, similar to Big Ben video pokie. 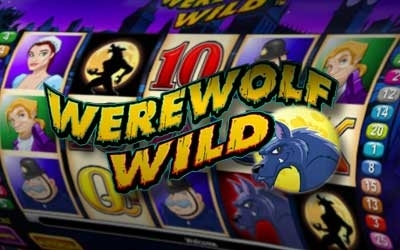 Werewolf Wild Pokie is not a progressive video slot game, but there are some impressive rewards that can be enjoyed for small wagers. As mentioned. The jackpot in the game is a 1000 coin payout, but so much ore can be won during the free spin round. 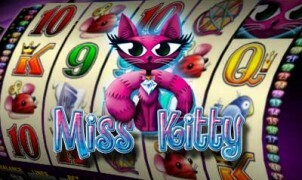 The game can be played for a small bet of $0.01 per payline or a maximum bet, which will cost $50 per spin. With the 25 paylines, there are many ways to create winning combinations, so be sure to give this game a shot. Featuring a spooky and eerie theme, any fan of werewolves or even Halloween themed games will be pleased when playing the Werewolf Wild pokie. The reels contain some great thematic icons like the moon, a carriage, gas lanterns and more. The game also features an eerie soundtrack, which is the perfect complement to the background and well designed symbols that are featured. Want to play this awesome game online? Well look no further! 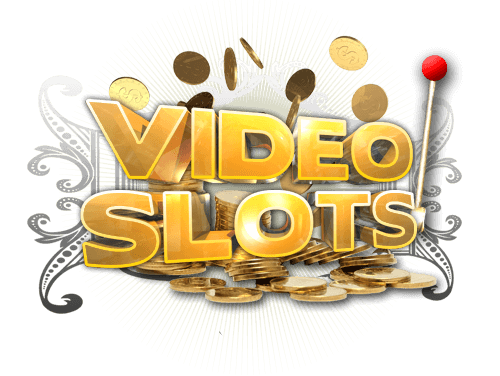 Play now at VideoSlots.com, No Download Required. Simplify click on the link below and select “Aristocrat” as the game provider, which will bring up all the Aristocrat games you can play online. Play Werewolf Wild pokie for free or for real money on your iPad, iPhone, Mac, PC and Android Device.